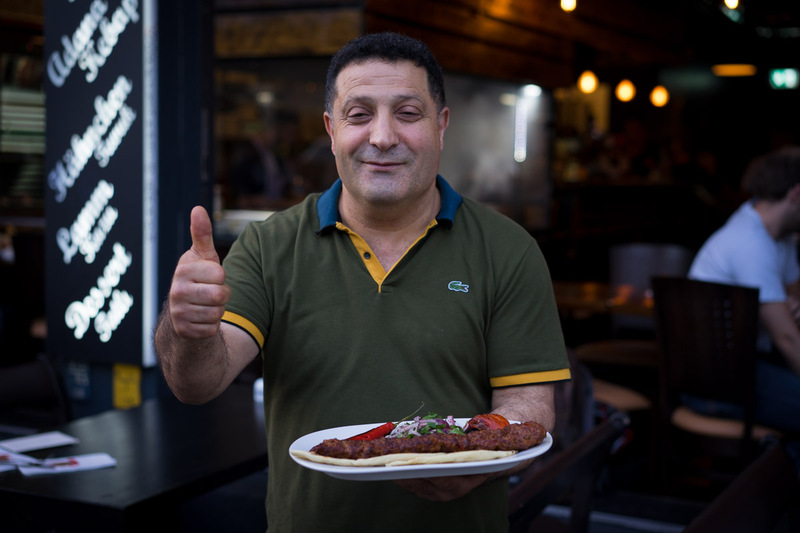 Adana Grill is a traditional Turkish Grill House where you can enjoy your fair share of grilled lamb, meze and and cold Efes in the company of the local, Turkish community. Check it out for a genuinely Turkish experience in Berlin. I have a habit of telling friends (and people I randomly meet..) what kind of restaurants I’m looking for in Berlin and a genuine, Turkish grill has always been a very prominent feature on my wish list. Since my first visit to Istanbul I can’t get the flavours of the grilled meat and aubergines out of my mind, I couldn’t stop thinking about it for weeks. When I came home to Berlin I found it hard to grasp how much the Turkish food in Berlin differs from the stuff you get back in Turkey. How did the flavours get lost on the way? I still don’t fully understand it, but I guess it’s the kind of thing that happens when communities of immigrants settle down in a foreign country with different conditions and especially produce. Back in the 60s it must have been impossible for the Turkish immigrants to get a hold of good quality lamb and other, essential ingredients of the Turkish cuisine. Also, the Turkish are by far not the only one immigrants that created a different version of their cuisine in Germany, just look at the Chinese and Mexicans. Anyhow, I had multiple sources direct me to Adana for a proper grill experience, including a good, Turkish friend of mine. That latter recommendation settled it, Adana had the official approval. You will notice that Turkish approval the very same moment you set foot in the restaurant, 90% of the guests will be Turkish and you might feel a bit like a stranger. Perfect! Once you enter Adan you will also not be able to miss the massive charcoal grill at the entrance, best places in the restaurant are right next to the grill, kinda like an old-school Chef’s Table. Upon entering you will also not be able to miss the huge meat refrigerators behind the grill, full with delicious lamb meat, just waiting to be ordered by you. In my opinion the best meat at Adana are the lamb chops and lamb ribs, they grill them to perfection on the massive charcoal grill. The menu consists out of a range of meze and meat varieties and at this point you will have to embrace the Turkish way of eating at one of these restaurants. 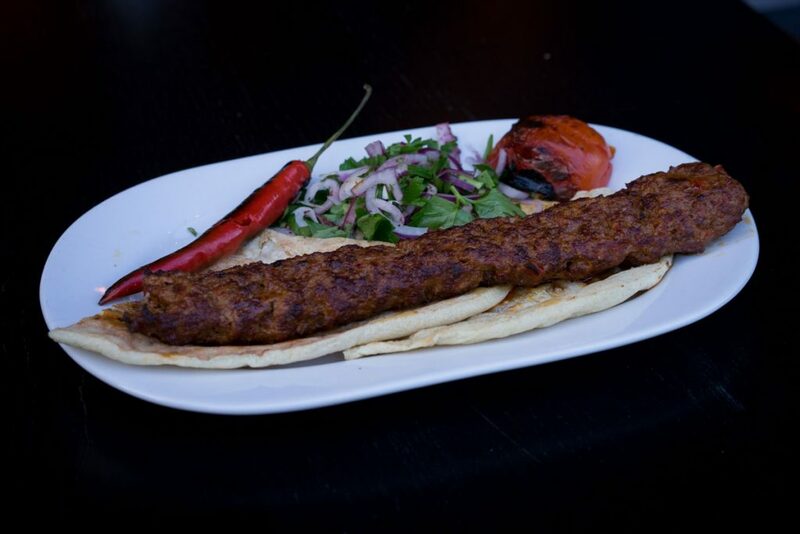 The meat is for only for taste, so you always order a couple of meze dishes with the meat in order to get full. I highly recommend the cold, grilled aubergines, they are great. When it comes to the choice of meat you’re going to have to choose between the minced version or the whole lamb pieces, they are both great so this just comes down to your preferences. Just check cover picture of this article, I couldn’t stop myself from devouring a lamb chop before taking the picture. In my opinion the best meat at Adana are the lamb chops and lamb ribs, they grill them to perfection on the massive charcoal grill. The ribs are something I encountered for the first time in Istanbul, it’s basically the chop without the filet and more fat, a fantastic cut of meat to put on a grill. In the summer you can sit outside, look at the busy entrance to Oranienstraße and enjoy a cold Efes with your grilled meat. While Adana Grill Haus isn’t the full answer to my Istanbul cravings, it comes close enough to answering a couple of them. It’s a lovely place to experience a proper Turkish BBQ dinner in Berlin, with good value for your money. 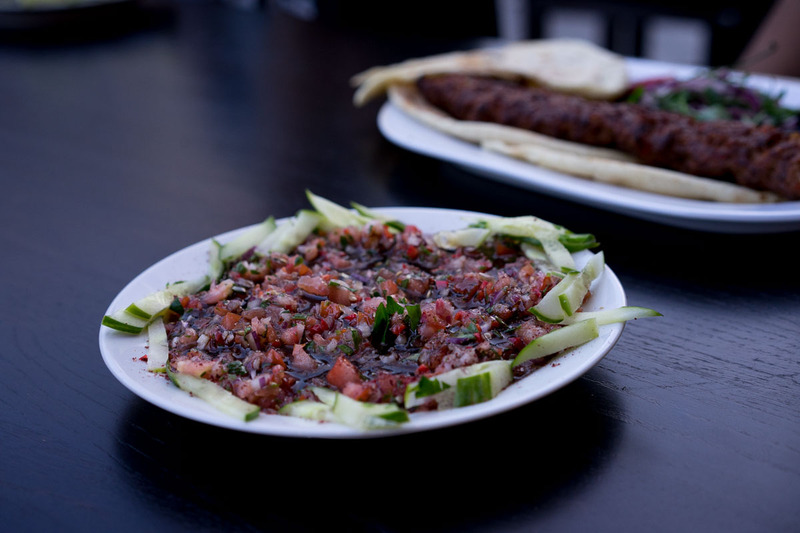 Check out Adana with modest expectations and I’m sure that you’ll have a great meal.